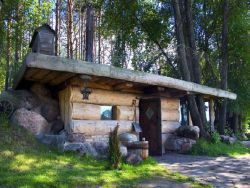 Since the 19th century, the Baltic region has been home to sauna traditions that remain popular today, a ritual that can’t be missed when visiting. Bathing is done to alleviate stress, meant to cleanse the spirit as much as cleansing the body, and herbal therapy is a way to maintain both physical and mental well-being. 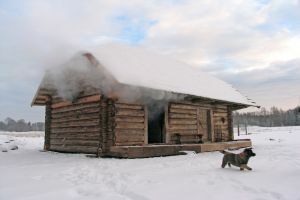 While Scandinavian saunas are typically dry air bathhouses with very low humidity, Baltic saunas are usually wet air or steam bathhouses with built-in chimneys and a stove as the main heat source. 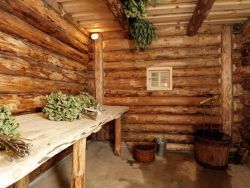 Different natural plants are employed in the detox rituals performed by the bathhouse master. Dried birch branches or besoms made of bound plants and twigs are used to massage or gently swat the bathers in an effort to improve blood circulation and slough off debris on the skin before bathing. Honey massages are also meant to improve blood circulation and metabolism, benefiting the respiratory system, immune system, heart health, and more. Bathers can also steam beneath a plant rug for a unique Baltic bathhouse experience. Heat and steam release healing substances from the plants, which are gathered fresh and woven into rugs placed on the steaming shelves. The tradition continues with a shock of cold after the intense heat – bathers can jump into a cold lake, river, or snow, followed by a shower to complete the full bathing ritual.